← How are you Filling your Sales Funnel? Recent research has showed PR as having the highest return on investment of any marketing tactic with a return of nearly 3 times investment. A well-planned PR campaign can achieve different results for a business or individual. Whether that is to increase brand profile, drive visitors to an event, target and influence a specific sector or produce sales enquiries. But many business owners sometimes set unrealistic objectives for their PR campaigns and today, with the advent of Social Media, we all think that we can compete with PR. To be good at PR nowadays, we need to understand the whole digital media sector and to be honest, we also need to have the relevant tools and software available to enable us to do the job properly. With media forums such as Linkedin, Twitter and Facebook, it would seem that we all have a head start. But many businesses do not really know how to use this form of media communication effectively. More importantly, some businesses still do not appreciate the importance of marketing. Successful businesses understand that they need to be allocating roughly 5% of their turnover to their marketing and PR budget. If you can find the budget, and you decide you need to go down the PR or social media route, I would suggest you use a firm of content marketing and PR specialists. They will know how to make PR work for you and they will have the necessary expertise and the right connections to help you spread your stories. This entry was posted in Content Marketing, Marketing, PR & Media, Social Media Marketing and tagged content marketing Manchester, content marketing specialists, David Lomas M3 Media Publishing, m3mediapublishing, PR, PR Budget, social media marketing. Bookmark the permalink. 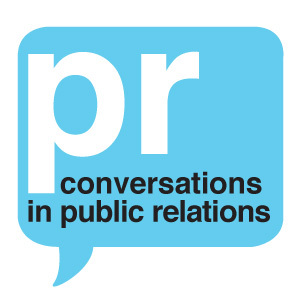 1 Response to How effective is your PR?